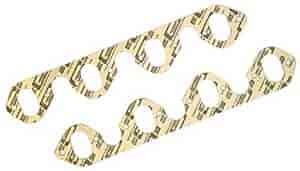 The Performance Exhaust gaskets are manufactured from a high-temperature acrylic blend exhaust material. Provides excellent sealing and durability. The gaskets can be trimmed if necessary for modified port applications. Designed for OE replacement, high performance street, drag race & circle track use. Does Mr Gasket 259G fit your vehicle?